Luxembourg is one of the most generous providers of aid. It spends about 1% of its gross national income on official development assistance (ODA), far above the UN target of 0.7%. Capitalising on its achievements and its work with fragile states, it has approved a new general development co-operation strategy entitled, “The road to 2030.” The Agenda 2030’s principle of “leaving no one behind” and the commitments set out in the Addis Ababa Action Agenda on financing for development are both at the heart of the new strategy. 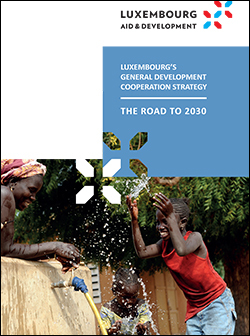 Luxembourg maintains a strong geographic focus on West Africa, especially the Sahel region. Five out of seven priority countries are in West Africa, including Burkina Faso, Cabo Verde, Mali, Niger and Senegal. It aims to allocate at least 50% of its bilateral funding resources to priority partner countries. Luxembourg also plans to further develop regional approaches on development co-operation in thematic areas where it has strong added value. Luxembourg is a member of the Sahel and West Africa Club where it is working, together with like-minded members, towards the goal of regional integration. In terms of thematic focus, the new strategy identifies four inter-related thematic priorities: 1) improving access to quality basic social services; 2) enhancing socio-economic integration of women and youth; 3) promoting inclusive and sustainable growth; and 4) strengthening inclusive governance. Luxembourg is committed to supporting more effective donor co-ordination, enhancing policy coherence for development and leveraging multi-stakeholder partnerships. A results-based action-plan will now be developed to determine how Luxembourg’s development co-operation will contribute to the strategy’s implementation over the next five years.